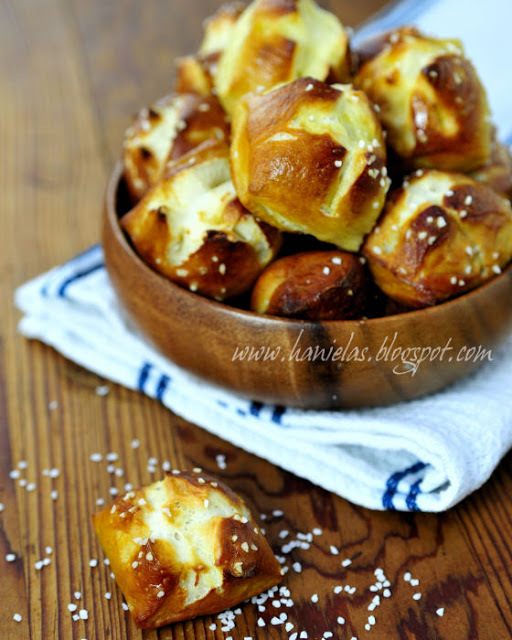 I’ve been ogling pictures of Pretzel Bites on Pinterest for several weeks, I love mini desserts and I’m also big into bite size appetizers, not only these delicious soft pretzels look appetizing(and they really are!) 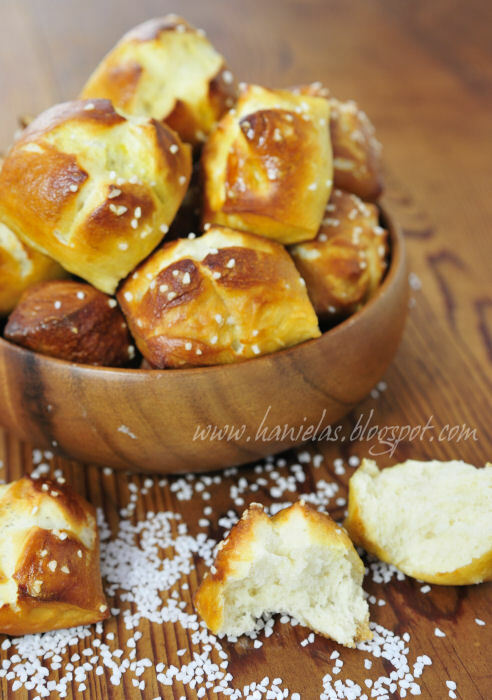 they are really easy to make too.In fact they are so easy to make I doubt you’ll ever buy soft pretzels ever again. 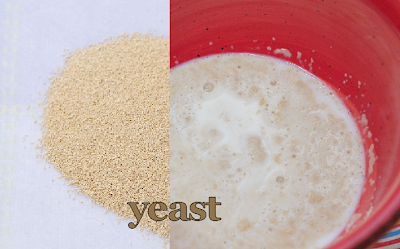 In case this is your first time working with yeast, working with this dough is a special treat, I really can’t think of the easiest yeast dough to work with, it is really forgiving. I made traditional soft pretzels many many times and so to make the Pretzel Bites I decided to use the same recipe I use for big twisted pretzels. Make sure you get pretzel salt, it makes them really pop. Add 2 cups of all purpose flour, 2 cups of bread flour, melted butter and salt into the bowl with yeast and knead , using a dough hook attachment. If dough is too sticky add additional 1/2 cup of bread flour. This dough when kneaded is somewhat on a dense side. Knead for 5 minutes, or until the dough comes into a smooth ball. Lightly coat a large bowl with the oil and put the dough into the bowl.Cover the bowl with plastic wrap and let rise in a warm place for a hour. Invert the dough onto a clean work surface(DO NOT USE ADDITIONAL FLOUR), cut dough into 6-8 sections and using palms of your hands roll the dough and form long ropes. Using a pizza cutter or a knife cut the ropes into small pieces. Bring 5 cups of water to boil, add 1/3 cup baking soda. Put about 5 pieces of pretzel dough into the simmering solution and let cook for 30 seconds. 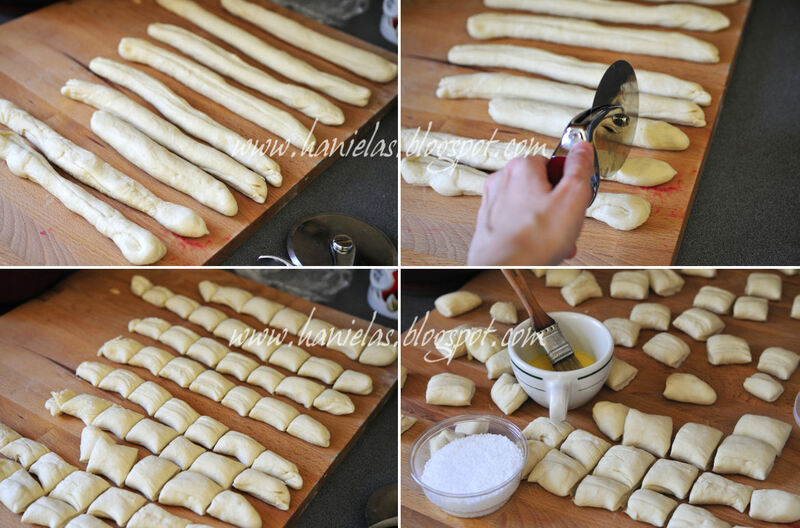 Remove pieces with slotted spoon and place them on baking sheet, continue with remaining dough. 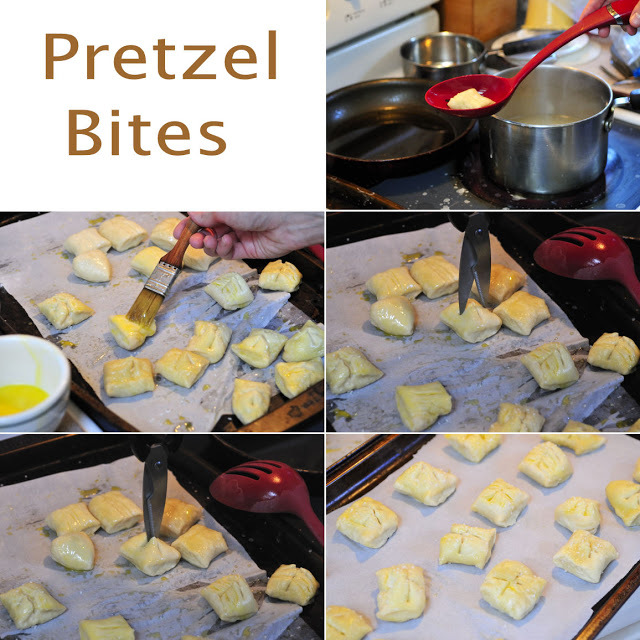 Once done, brush each piece with egg wash, sprinkle with salt and using scissor cut + into the each pretzel piece. Gently transfer pieces onto a clean baking sheet lined with parchment paper. Bake for 9-10 minutes or until golden brown on the outside. 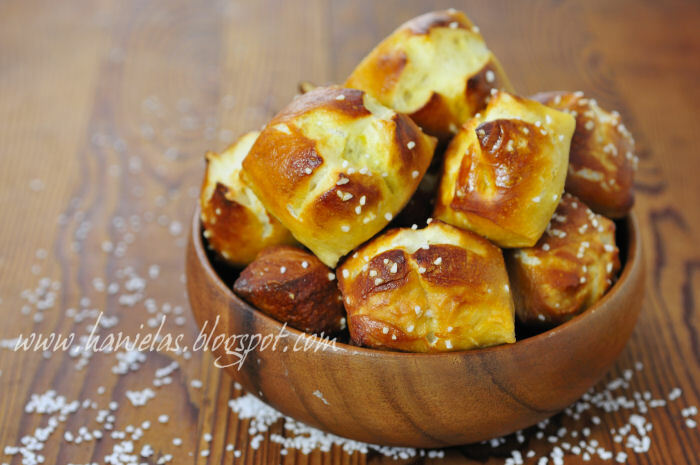 Once you take them out of the oven, transfer baked Pretzel Bites onto a cooling rack, though I can guarantee you will be very much tempted to eat one straight from the oven, I recommend letting them cool for just a few minutes. Do you know if any portion of this recipe (aside from making the dough) can be done ahead of time? I made half as directed with salt and the other half without the salt. The salted ones I served with mustard and the plain ones I rolled in melted butter, then cinnamon and sugar. All of them gone in about six seconds. Next time I'll make multiple batches. Do you know if it multiplies well or am I better off with small batches? This will be a hit at my house with grandkids i know!! Me and my girls are going to try this today in your braided version! I will try the receipt!